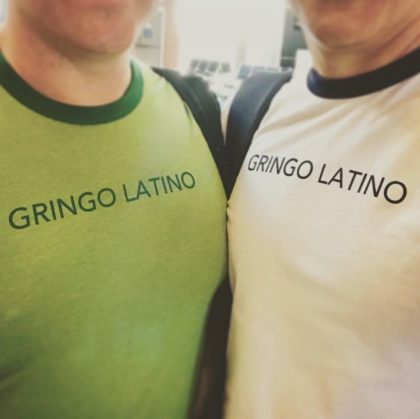 That’s what being a Gringo Latino is all about. More specifically, it might be someone who is married to a Latina/o, studied Spanish, travelled through Latin America and speaks Spanish (or Spanglish?). 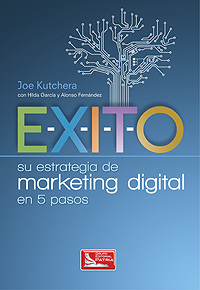 Or, it could be someone who believes in the fusion of cultures, who is truly multicultural and can switch between American and Latin American cultures as well as translate between and speak both the English and Spanish languages. 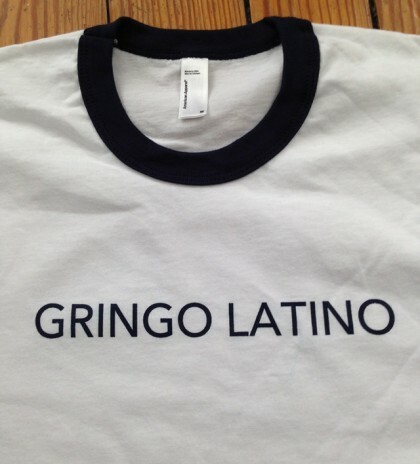 What is a Gringo Latino to you? Send me an email. I’d love to hear from you. 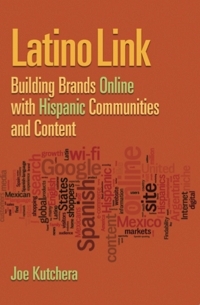 Are you a Gringo Latino or do you know someone who is? Share it with the world by sporting your very own Gringo Latino T-shirt. These tees come in white and green, and are available in medium, large and extra large sizes. 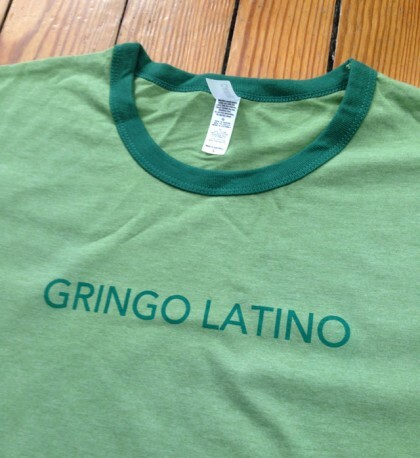 White ringer tees (with dark blue around neck/arms) are made by American Apparel and the green ringer tees (with dark green around neck/arms) are made by Canvas. $21 for all sizes, including shipping and handling. *Thank you to copywriter and friend Rob Blatt for his extraordinary quote and wordsmithing.